A baby raccoon struggled to make his first big steps in the world of tree climbing, until his mother gave him an encouraging nudge up the trunk. 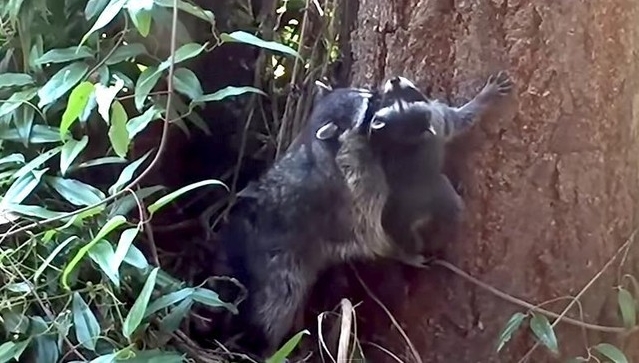 In a cliffhanger worthy of a Hollywood blockbuster, a mother raccoon attempts to coerce her baby onto a tree. At first she appears to receive little response but undeterred she carries the youngster in her mouth before nudging it up the trunk. 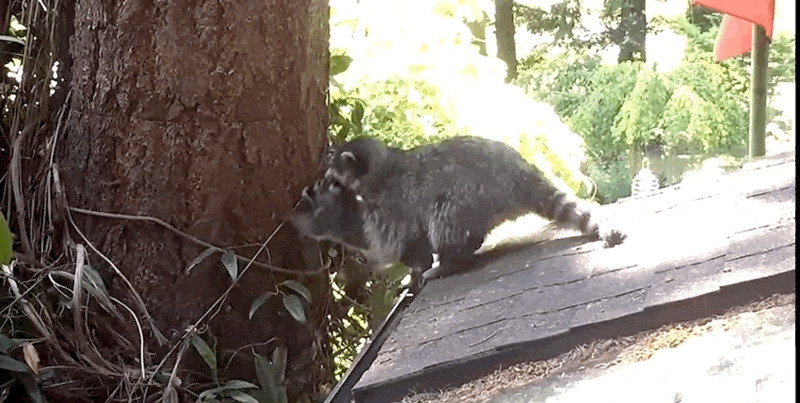 The footage was taken in a backyard in Port Townsend, WA, US. “We saw a raccoon in her nest and realised she had a cub,” the owner said. Responses to "Mother Raccoon Patiently Teaches Her Baby How To Climb A Tree "